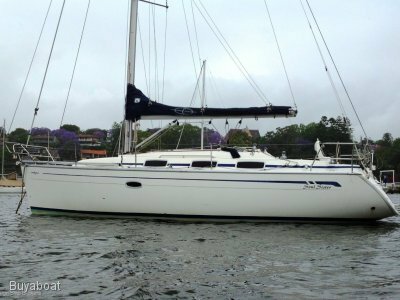 'L-Affaire' Is a roomy entry level yacht that was built to survey and was the original charter boat on Lake Macquarie and Port Stephens. 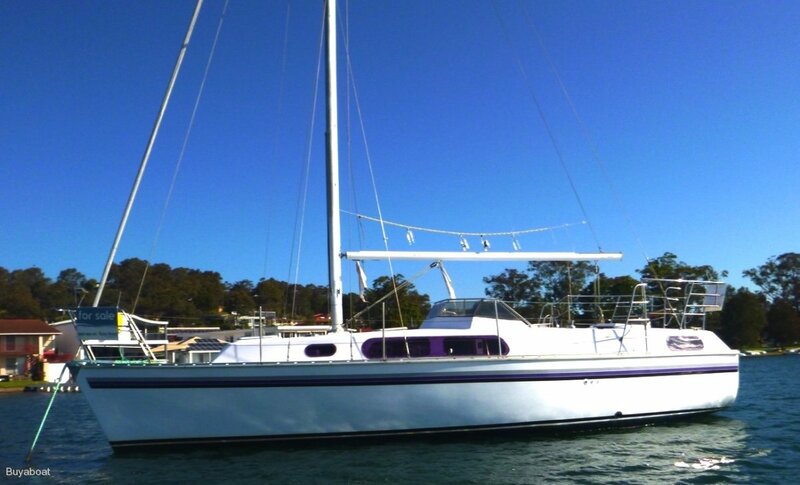 She has accommodation for 7, with a V berth, Dinette Single and Quarter berth on the port side. Through the tunnel you will find a large Double bed with an extra single by her side. She has a Bukh motor with only 10 hrs use. 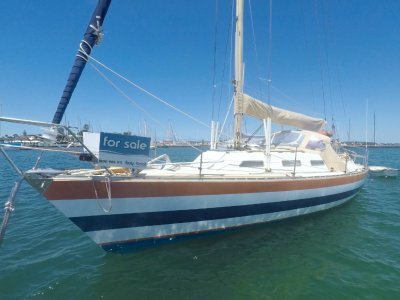 All she needs is a tidy up and you will have a great weekender or cruising boat. The rig is tough and bullet proven. With a shallow draft you will be able to slide into the sand islands in know time. Bukh 28 hp raw water cooled in great condition replaced in 2006. Engine room: Under cockpit easy access via panel in tunnel. Cold water 60L stainless steel tank plus 50L bladder. Sail cover and boom tent. V berth double, Saloon Single and quarter berth, Aft Cabin sleeps 3 with double and quarter berth. Enclosed as part of head, with shower sump. Pump, with hand basin and cupboard space. Between V berth and main saloon. Gas 2 burner hot plates, ice box and sink. Cold water. Plough anchor 20m chain and 100m rope. 8 Life jackets, 4 life rings, fire extinguisher. Am/Fm radio, 12v fluro lighting, 1 house battery, 1 start battery. Sivla Nexus Sounder, wind and speed. 27mhz radio. 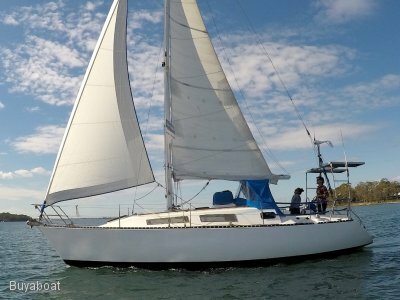 Brand new main, furling headsail. Boat mooring hook, boat ladder, duck board. 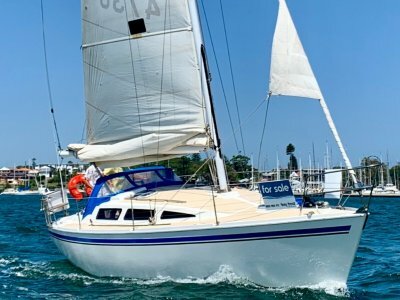 This is a great weekender or entry level cruising boat. Plenty of history being a charter boat on the lake.